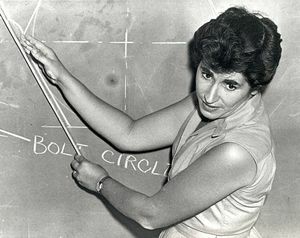 Thelma Estrin, a 1977 IEEE Fellow "for contributions to the design and application of computer systems for neurophysiological and brain research," is a pioneer in the field of biomedical engineering and as the IEEE's first female vice president. Thelma was born in New York City, an only child who was destined to attend college and attain greater achievements. While other girls in school took commercial courses, she pursued academic courses and prepared to go to college. She attended City College of New York (CCNY) in 1941 where she met her husband Gerald Estrin. A year later, in 1942, she took a three month course at Stevens Institute of Technology for engineering assistants. She worked for two years at the Radio Receptor Company. In 1946, she and Jerry moved to Madison, Wisconsin, to pursue undergraduate electrical engineering degrees at the University of Wisconsin. Through a great deal of hard work and long days, Thelma Estrin received her B.S., M.S. and Ph.D. in 1948, 1949, and 1951, respectively. Jerry received an offer to join John von Neumann's computer project at the Institute for Advanced Study and they moved to Princeton, N.J. Thelma was determined to maintain her own career and was hired at the Electroencephalography Department of the Neurological Institute of Columbia Presbyterian Hospital (New York) in November 1951. Thelma's fascination with computer technology led her to help design Israel's first computer, the WEIZAC, in 1954. She and Jerry spent fifteen months in Israel working on the WEIZAC (WEIZmann Automatic Computer). This became the first electronic computer in the Middle East, and is now an IEEE Milestone in Electrical and Computer Engineering (in the 1980s, the WEIZAC team was interviewed for the Computer Pioneers Project). In 1956, Jerry accepted an offer FROM UCLA as an associate professor in the School of Engineering and Applied Science. During this time, Thelma taught at Valley College, a junior college in Los Angeles, and did some consulting work. In 1959, she gave birth to Deborah Estrin. In 1960, Thelma joined the Brain Research Institute (BRI) and in 1970 she became the Director of its Data Processing Laboratory. As Director, she provided computer support for a variety of research projects and helped dozens of researchers make use of computers. 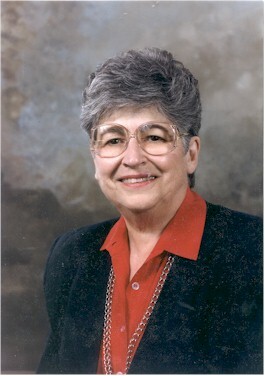 Thelma was an early champion of medical informatics, the application of computers to medical research and treatment, in all its branches. In 1980, Thelma became a professor in residence in the Computer Science Department of the School of Engineering and Applied Science at UCLA. She retired in July 1991 at the age of 67. During Estrin's tenure at UCLA, she designed and implemented one of the first systems for analog-digital conversion of electrical activity from the nervous system. This was a precursor to the use of computers in medicine. 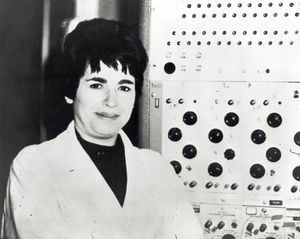 Estrin's interest in EEG research led to many ground-breaking articles, including her 1961 publication, "Recording the Impulse Firing Pattern," which examined digital techniques to explore spike patters originating in neurons. Other papers pertained to mapping the brain with the help of computers. In 1975, Estrin developed a computer network between UCLA and UC Davis. Thelma was an active IEEE volunteer. In 1977, she was elected president of the IEEE Engineering in Medicine and Biology Society. Four years later, she became the first woman elected to a national office of IEEE, serving as Vice President in 1982. She was the first woman to be elected to the IEEE Board of Directors and she served on the Technical Activities Board. Estrin was also the first woman to join the board of trustees of the Aerospace Corporation. Her leadership on that board encouraged other women to purse careers in aerospace engineering. She also spent much time championing the application of science and technology to the advancement of women in computer science fields. Estrin received many awards and honors, including a Fulbright Fellowship at the Weizmann Institute in Israel to investigate EEG patterns associated with epilepsy, the Outstanding Engineer of the Year Award from the California Institute for the Advancement of Engineering in 1979, the Achievement Award from the Society of Women Engineers in 1981, and the Superior Accomplishment Award from the National Science Foundation in 1984. Eta Kappa Nu named her an Eminent Member in 2000. Estrin also received many honors from IEEE, including the Haradan Pratt Award in 1991. Thelma Estrin died on 15 February 2014. This page was last edited on 1 May 2018, at 15:51.